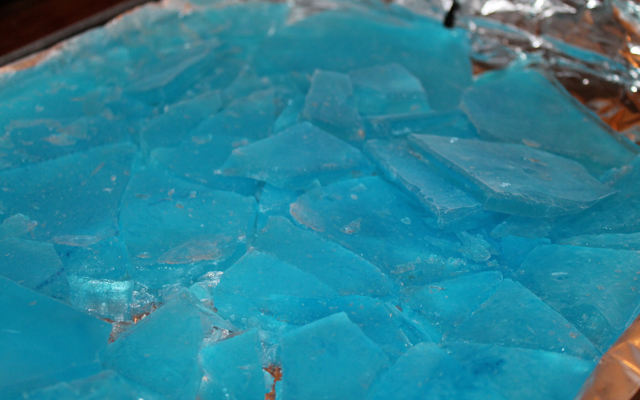 With only a few hours to go before the final episode of Breaking Bad, the mood is a little blue here around the Madtini Labs. Without our regular Sunday night fix of White family fun, New Mexico scenery and drug cartel wars we’re not sure how we’re going to keep ourselves entertained. In honor of the Breaking Bad finale we cooked up a few Blue Sky Margaritas, so-named for the nearly pure form of crystal methamphetamine cooked up by Mr. White and Jesse. Once you get to know this margarita recipe, check the Chicken appetizers recipe so you can have you a nice meal to go with your drink. 1. Fill a shallow cooking pan with approximately 1/4 inch of water. Squeeze 3-4 drops of blue coloring into the water and spread color evenly with a spoon. 2. Place the pan on a level surface in a freezer. 3. Once ice is solid, remove the pan and use a hammer to break up the ice into large chunks. 2. Place a generous amount of salt (we used kosher salt) into a sandwich bag. Squeeze 3-4 drops of blue food coloring into the bag and work the mixture with your fingers until the color is evenly distributed through the salt. 3. Pour the salt onto a shallow baking sheet and place in the oven for 10 minutes, until the moisture has been removed from the salt. Remove and let the salt cool. 4. After salt has cooled, place onto a shallow plate. 1. 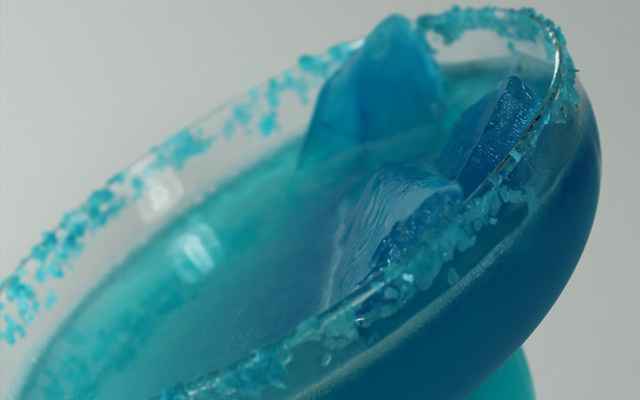 Combine the tequila, blue curacao, lime juice, triple sec and sugar in a cocktail shaker with several ice cubes. Cover and shake the mixture well. 2. Take a wedge of lime and rub onto the rim of the Margarita glass. Turn glass over, place into the blue salt and turn until the rim is covered. 3. 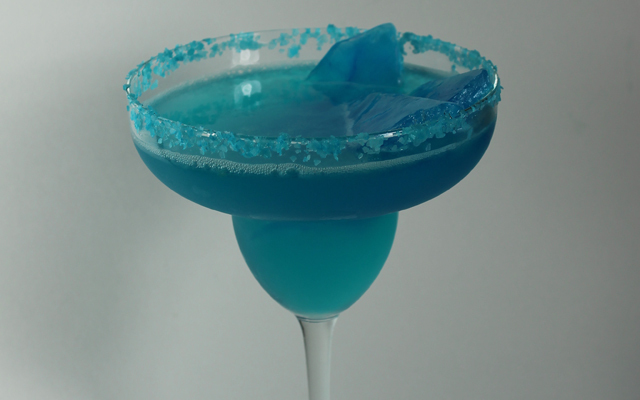 Add several broken chips of blue ice to the glass and pour in the margarita. 4. Breathe deep and serve. I guess my best TV finale experience was watching the last episode of Cheers at the SkyDome (it’ll always be the SkyDome to me). That was a fun night. Randy was a lot more into the whole Breaking Bad thing than I was but the week before I had to say good-bye to Dexter which hurt.